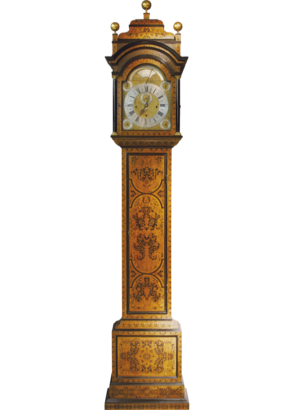 An extremely important Queen Anne month duration musical longcase clock by this increasingly important maker. The case is one of the finest marquetry cases I have seen in 40 years of trading and the proportions are both elegant and impressive. This magnificent dial has the finest engraving surrounding the four subsidiary dials, tune selection and makers signature. The subsidiary dials are for strike/silent, chime/not chine, months of the year with their zodiac sign and days of the week. All hands to the dial. The six melodies are played on 10 bells with 20 hammers. 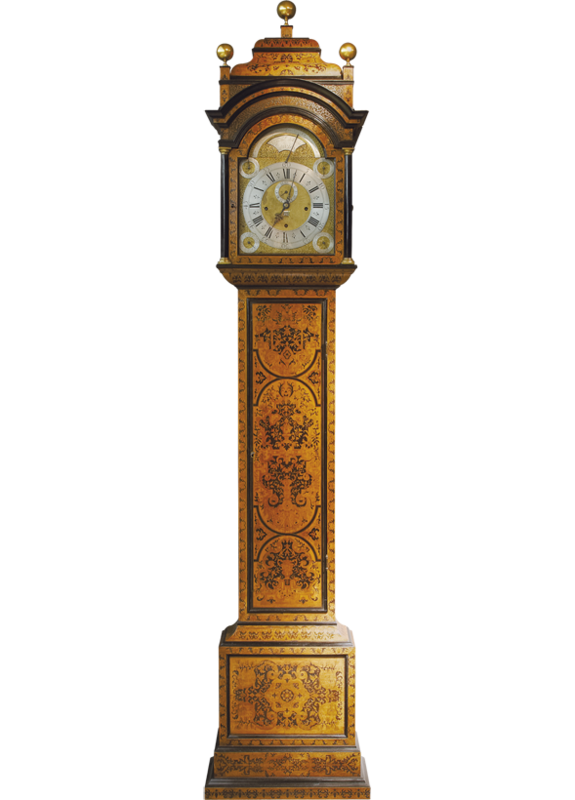 The illustrations on the inside back cover show the outstanding quality of the marquetry which covers the clock door, base, side panels and hood.